Minimising environmental impact in workplaces is something that is favourably encouraged everywhere. 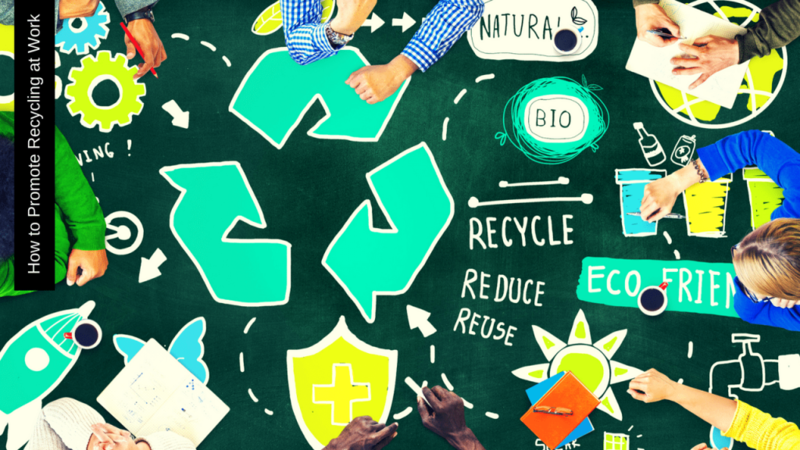 There are lots of approaches to make sure that both employers and employees engage themselves in various ways to reduce, reuse, and recycle waste. We at Lake Macquarie Skips promote recycling at every given opportunity. In this article, we would like to give you some important tips on how to promote recycling at your own workplace. Make sure to engage everyone in recycling. Sure, there are lots of ways to manage our waste products at work, but unless people within the workplace practice them, there won’t be much impact from your efforts. From the simplest task, such as proper segregation, to taking care of our specific areas at work, you can make a difference. To be perfectly organised, what your company can do is have different skip bins in key places within your workplace. This will make it easy to manage the way staff disposes of stuff, especially in an environment where people are constantly moving. Assigning a particular skip bin for a specific type of waste product may just do wonders for you. Take a look at the materials your company uses. This will make it easy for you to identify which products go to your skip bins. Once identified, make sure that all your staff is aware of the type of waste you generate. This will help you decide on a segregation scheme that is appropriate to your workplace. The size and volume of waste products are also something you should consider. Offices, for instance, that deal mostly with papers and similar types of waste product may opt to simply use a smaller container like the mini skip bin available here at Lake Macquarie Skips. This enables daily waste collection, rather than using a larger skip bin that might take a few days before getting noticed. Nothing is more engaging than to have a sense of commitment from a personal level. Recycling, like most stuff, is an abstract concept that people interpret differently. Committing to such responsibilities requires a sense of ownership. Encourage staff to own it by having ideas that they can completely identify with – through their own words. Aside from promoting teamwork, this entails a microcosmic approach that eventually leads to a joint effort. Posters and slogans made by your employees may be placed alongside your workplace’s respective skip bins. You may also assign a particular poster to a specific skip bin. Why hire Lake Macquarie Skips? From higher management down to the cleaning staff, everyone should have the same level of engagement in the whole process. Here at Lake Macquarie Skips, we are dedicated to ensuring waste reduction through recycling. Lake Macquarie Skip Bins has the variety of types and sizes appropriate for any waste management program suitable for your workplace. Call us now or check us out online for quotes and other inquiries.